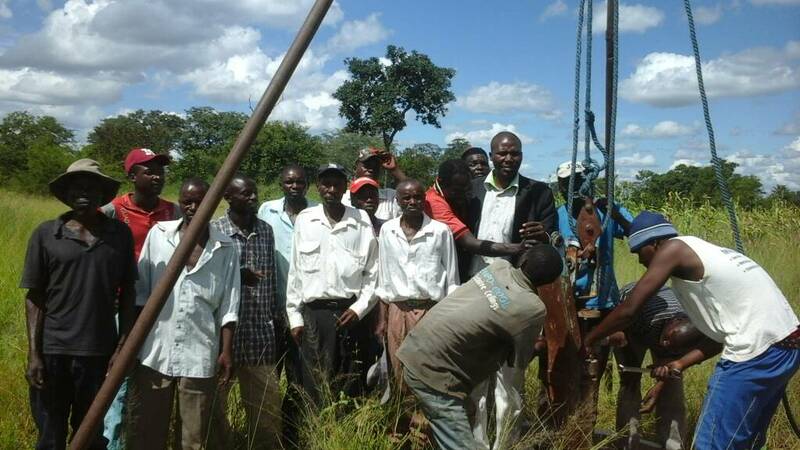 MWENEZI - Incumbent Zanu PF Ward 5 councillor, Master Makope who is also aspiring to run for the Mwenezi East parliamentary seat come the general election, has embarked on a borehole-fixing programme which he hopes will endear him with the people. Makope started the work in Ward 13 under Chief Chitanga and has managed to fix three broken down boreholes that provide water to such isolated villages as Mutsipi, Chinowaniso and Mpofu. In Mpofu, Sagwari area, Makope oversaw the rehabilitation of a borehole that had not been functional for a long time. Mpofu village head, June Mpofu was pleased with the work done for his community, saying the borehole had remained dysfunctional for over a year. "We thank Makope for helping us to fix the borehole that had not been working for more than a year. We had failed to find the needed resources to repair the borehole ourselves so our councillor came in handy to help us. People had been drinking water from unprotected sources all along. "People in five villages that depend on the borehole had resorted to drinking water from distant dams and from holes dug in dry riverbeds (mifuku). With the borehole now functioning again, people are now drinking clean water," said Mpofu. Makope, who transported the borehole spare parts from Neshuro growth point at his own cost, said it was his desire to be there for the people who voted him into office.